Search no further, City Publications is your answer. For the past 11 years Austin has worked with small business owners to get their message in front of homeowners. At City Publications, we're premier lead generators. Our local representation and the support of our corporate office plays a significant role in making your business thrive by giving you individual attention. Our multi-touch advertising model brings businesses qualified leads and proven success. This is why we are known in the direct mail industry as the premier lead generators. for your home, family and life. As a locally-owned franchise, we want to engage with quality local businesses to bring consumers the best products and services Chicago has to offer! City Publications Chicago is locally owned and operated, providing business clients with local market knowledge and a unique connection to the affluent local consumer. 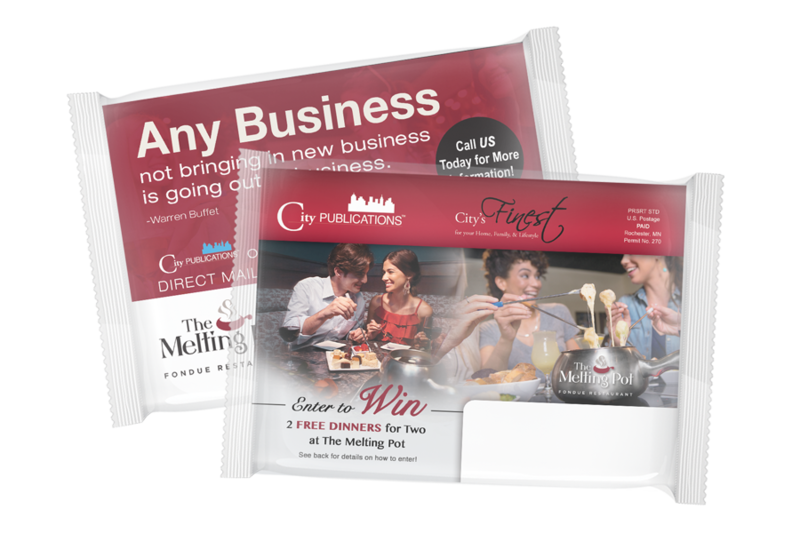 City Publications Chicago is your leading local provider in dozens of deal categories for direct mail, lead generation and targeted marketing opportunities.